I reviewed Broadway’s newest hit! And I liked it. Check it out below or over at TheatreIsEasy.com! 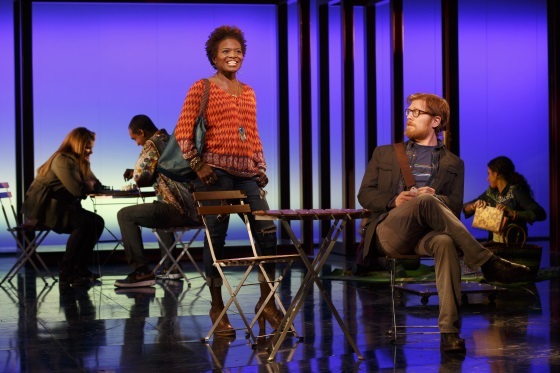 Helen Carey, Mercedes Herrero, Jocelyn Bioh, Alex Sharp, Richard Hollis, David Manis, and Ben Horner in The Curious Incident of the Dog in the Night-Time. Photo by Joan Marcus. BOTTOM LINE: Powerful visual language turns an idiosyncratic perspective into a stirring and imaginative theatrical adaptation. Christopher, the 15-year old narrator of Mark Haddon’s 2003 novel The Curious Incident of the Dog in the Night-Time, does not see the world the way most people see it. The book’s first-person perspective allows readers an intimate glimpse into the mind of someone who would in diagnostic terms be dubbed a high-functioning autistic teenager. How lucky — and how extraordinary — that the stage can transport an entire audience into that visceral, chaotic, and incredibly distinct mindset, and challenge not only our awareness of such disorders, but also the limits of theater itself. 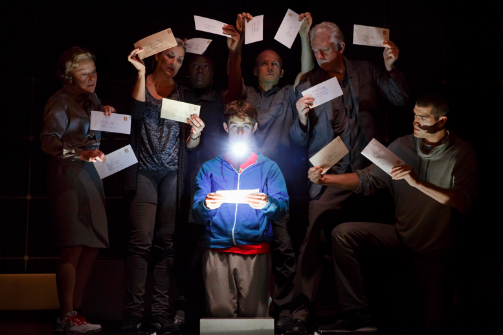 Most responsible for the power of Curious Incident’s stage adaptation, opening October 5th in a Broadway transfer from London’s National Theatre, are surely its designers. 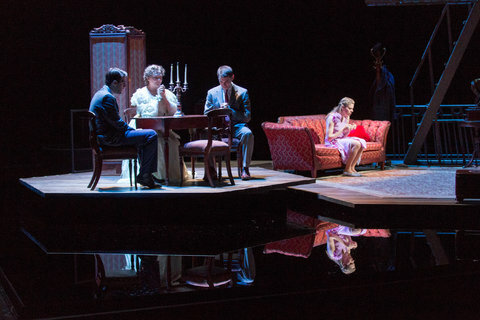 Paule Constable’s lighting and Finn Ross’ video design in particular offer proof that theater and visual technology can together elevate a story to dazzling heights. Three towering walls depicting a mathematician’s grid double as a kind of LED grid on steroids, projecting the multitudinous contents of Christopher’s brain everywhere; constellations, diagrams, and maps materialize above and around the actors. For those of us accustomed to high-concept designs involving little more than an impeccably detailed set or elaborate costumes, this show’s breathtaking effects never get old. This is particularly true during Christopher’s harrowing journey on the London Underground. You may never carelessly step into a subway car again.